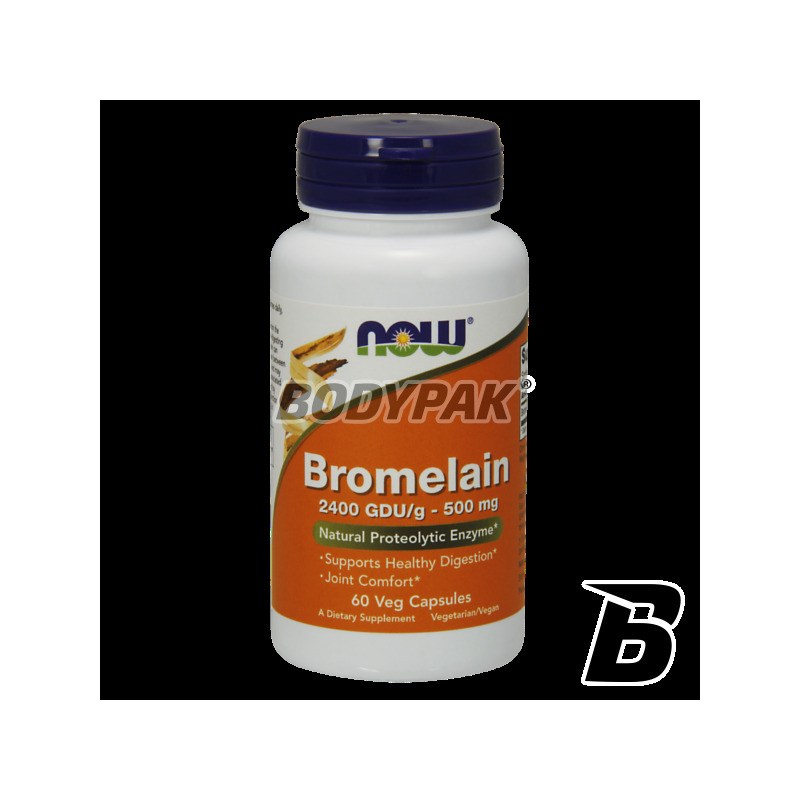 Health & BeautyNOW Foods Bromelain - 60 kaps. NOW Foods Bromelain - 60 kaps. 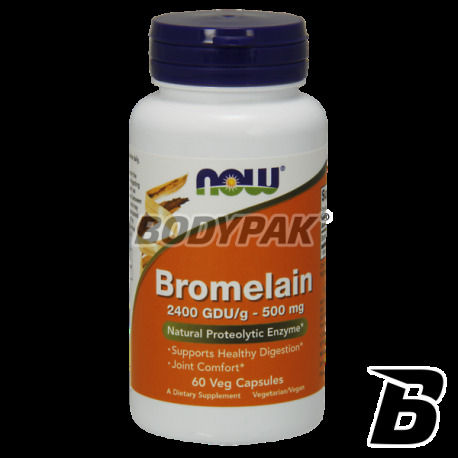 Bromelain - natural enzyme extracted from pineapple aid digestion of food. NOW Foods Bromelain - 120 kaps. Bromelain enzyme derived from pineapple stem, is a compound of facilitating digestion and increase the absorption of nutrients. The properties of the enzyme were discovered 50 years ago. At the present time it is produced on an industrial scale of the trunk and debris after cutting the fruit. Bromelain pure as a yellowish powder, and its enzymatic activity is expressed in units of FIP (casein digestion) or GDU (gelatin digestion). Taking the enzyme just before a meal can be beneficial for the digestion of food. Although the daily intake of bromelain has not yet been established. Bromelain is not toxic and its use is determined to be safe. Inne składniki: celuloza (kapsułka), mąka ryżowa, stearynian magnezu (roślinne źródło) i dwutlenek krzemu.